N11881 serial 1186 has been located at the Poplar Grove Airport in Northern Illinois. 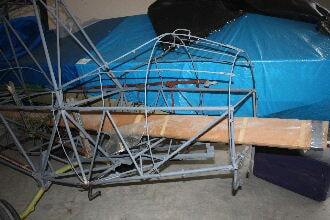 The fuselage has been reworked and the aircraft is now awaiting completion. The aircraft is at Taildragger Aviation. I have been in contact with Lorraine Morris and she has allowed me to use the photographs from their website. 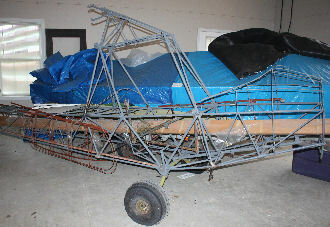 Let me HIGHLY recommend their website www.taildraggeraviation.com to get an idea of the restoration work they have completed. 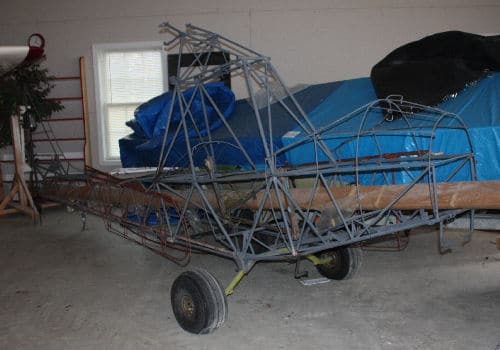 There seems to be a number of Cessna 140 and 150’s as well as a Spartan Executive airplane and a Spartan Travel trailer. (How many people knew that Spartan also built travel trailers. I did ’cause I went to A & P school at Spartan.) Also on their completed list is a Culver Cadet and, waiting with the Junior, an American Eaglet. It appears that the aircraft spent most of it’s time in Oklahoma. Looking forward to the completion of the Junior. Lorraine, keep us informed.